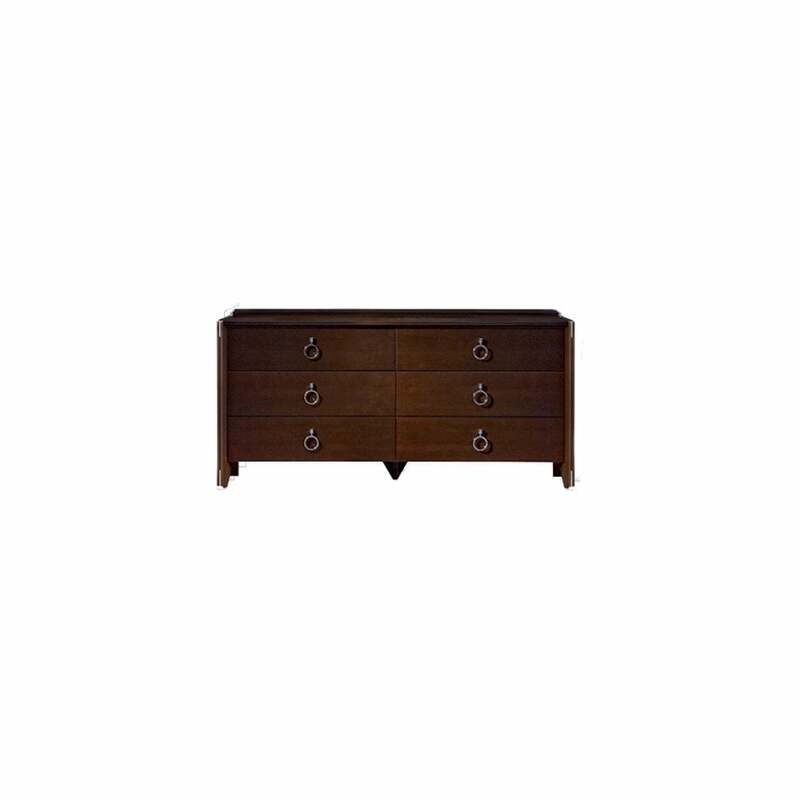 The Vendome chest of drawers is a traditional, classic design with a contemporary edge. With 6 drawers, each with self closing motion, you have substantial storage space to suit your needs. This strong design with a rich, glossy cherry veneer finish is complimented with striking decorative metal appliques in glossy chrome on the legs and fluting of the pilasters, subtle touches but truly eye-catching. The unit comes with base adjusters to compensate for unevenness of flooring.